Be it students or administrators, everyone used to praise me for engaging learners satisfactorily in the class; and I was very self-motivated. In fact, I was started imagining myself to be one of the best teachers in the world. Was I a snob? 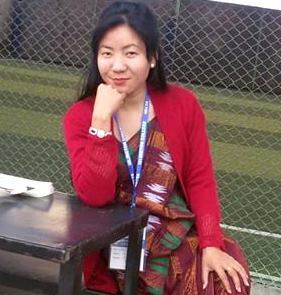 Well, I have been teaching English as Foreign Language at reputed schools and colleges in Nepal for more than five years. Besides having degrees, I possess dozens of ELT workshops certificates. Whichever class I go to, learners see me off with broad smiles. Not only they produced what I asked in class but also did every assignment promptly. So I used to feel proud and maintain my learner-friendly status. However, some time back I had gone for a month long rigorous training along with four other trainees. Besides, theoretical perspectives and language games, we were required to go to real schools along with lesson plans and materials. It was my first teaching practice of that training. It was also an opportune time to prove one’s worth as a teacher. The instructor and peers would observe the class so as to give feedbacks later. I was so confident that I thought I was the best teacher in the world. I entered the classroom of Grade 10, and started my lesson that had to do with grammar (direct/indirect questions). As a warm up, I drew some pictures for context setting, and displayed a chart. To my surprise, before I had finished half of the lesson plan, the bell rang, and it was time to wrap up. I felt so guilty that I nearly burst into tears. My ego got dismantled as fragile pane. What I realized was that I was having a vicious circle of self scorn. I was not a perfect teacher as I still had to learn hundreds of methods and countless exposures. It laid bare the threads the fabric of superiority that I had cultivated. Above all I had never thought about timing which is very important. Returning to school, my peers and instructor reflected on my strengths and weaknesses. I found the first was insignificant in comparison to the second. Obviously, the trainer asked for ‘Repetition’. Although very bitter, I accepted their remarks and promised to do better from another day. It was but another lesson learnt: learning and familiarisation continues all throughout life; and no one is perfect.